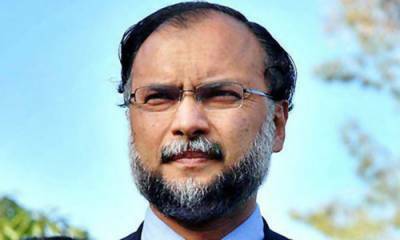 Islamabad (Staffa Report): The Islamabad High Court (IHC) has issued a contempt of court notice to Interior Minister Ahsan Iqbal amid Faizabad sit-in. The sources revealed that the notice was issued over Interior Minister’s failure to take steps ordered by the court to the end the sit-in that has brought the capital to a halt for past 17 days. The court has inquired in the notice under what authority the minister stopped proceeding against the sit-in despite orders of the high court.